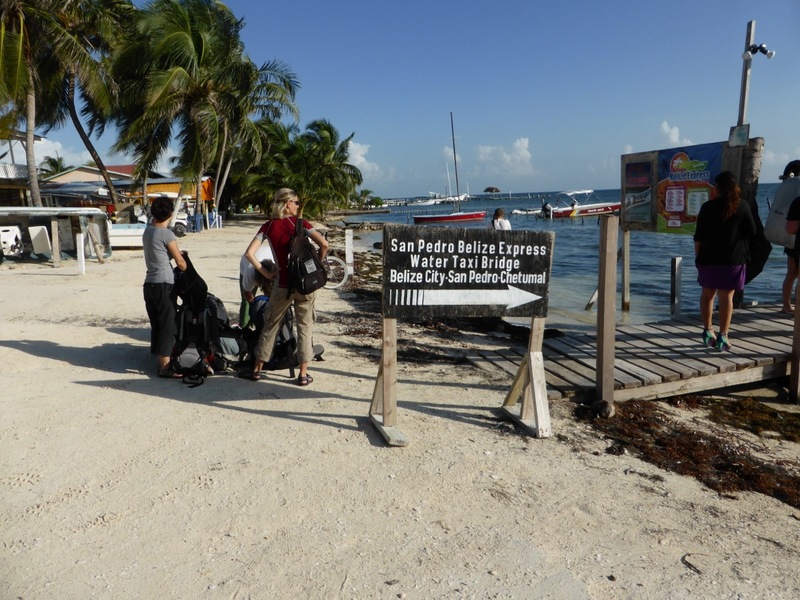 Unfortunately the time came for us to leave Caye Caulker and turn our compass east towards Guatemala. 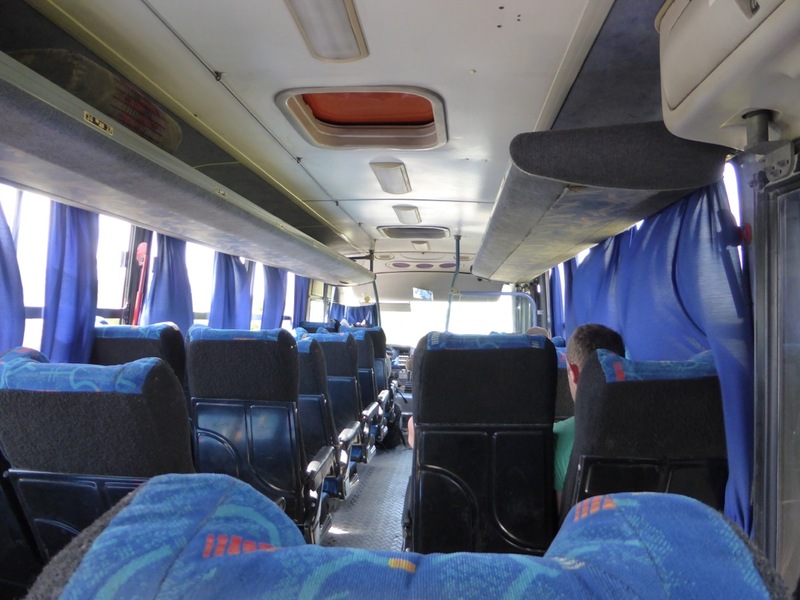 We purchased a combo ticket from Caye Caulker to Flores, Guatemala for US$30 each which included the water taxi from Caye Caulker to Belize City, with a connecting bus from Belize City to Flores in Guatemala. This daily service is offered by the Belize Express water taxi company and we purchased the tickets right on the island next to our favourite bright pink fruit stand behind the village basketball court. 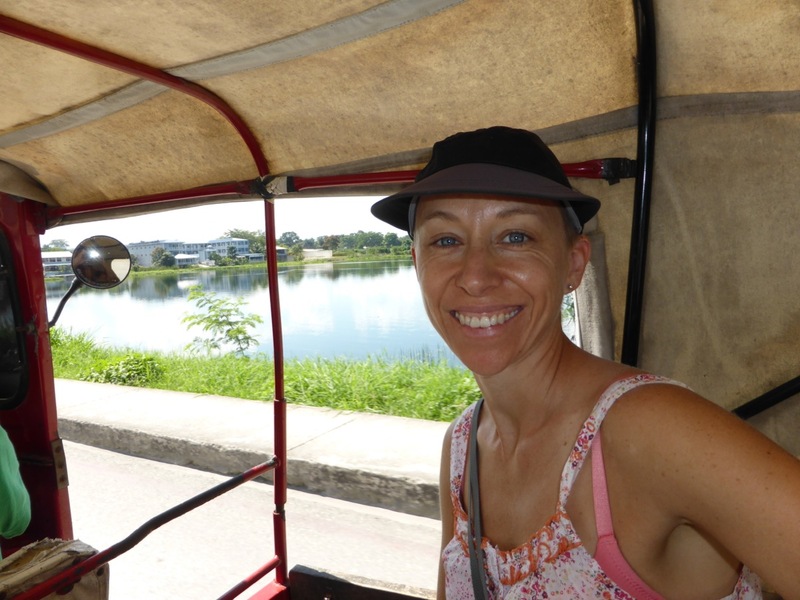 The water taxi ride was 45 minutes, followed by a 4-hour bus ride in a small tourist coach through the western highlands of Belize via the town of San Ignacio. Much of the area had experienced heavy rains over the past month, so there was a lot of flooding in the region, along with closures of many tourist attractions. We were relieved that we hadn’t planned to spend any time in this area, as we would’ve been quite disappointed! Crossing the border from Belize into Guatemala went without a hitch, despite the bribe of US$3 each that we were asked to pay on the Guatemalan side. This is a well known unofficial “entry tax” and every traveller is charged a different amount – ranging from zero to US$10. Of course there’s no sense challenging the request, but it was quite an infuriating experience! At least the Belizean departure tax is an official amount of B$37 that is payable by all travellers and for which you receive a receipt and explanation of what your tax will be used for. I’m sure that we’ll encounter a few more informal entry and exit requirements and “taxes” as we move further into Central and South America! 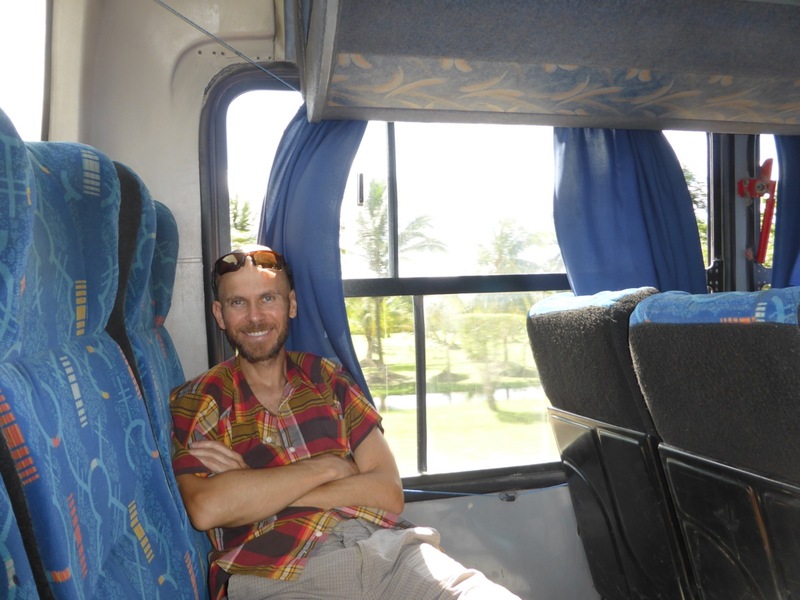 Continuing on to the town of Flores, we switched buses a few kilometres before the entrance to the town. We soon realized that the purpose of this switch was to give a tour operator an opportunity to sell accommodation and tour packages. 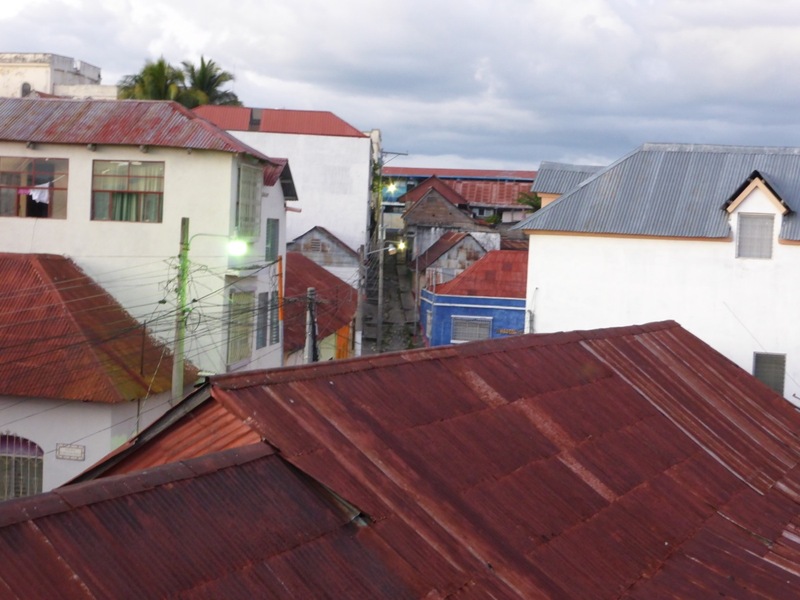 Fortunately we had been warned about this by the hostel, Los Amigos, that we had pre-booked in Flores, and we were very firm with our responses to the salesman. We were then very quickly unloaded and sent on our way! Fortunately the walk to Los Amigos was a short one! 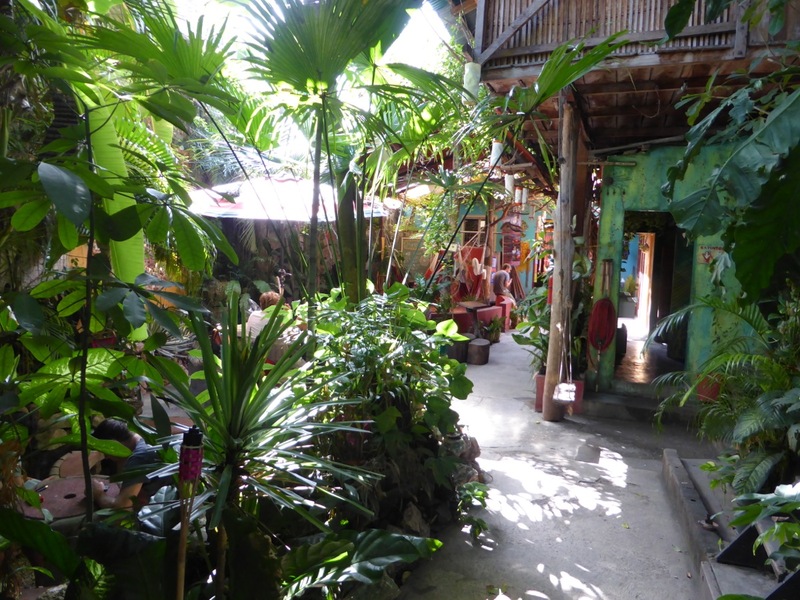 Los Amigos is one of the most popular hostels in Flores. It has a mixture of dormitory beds and private rooms. 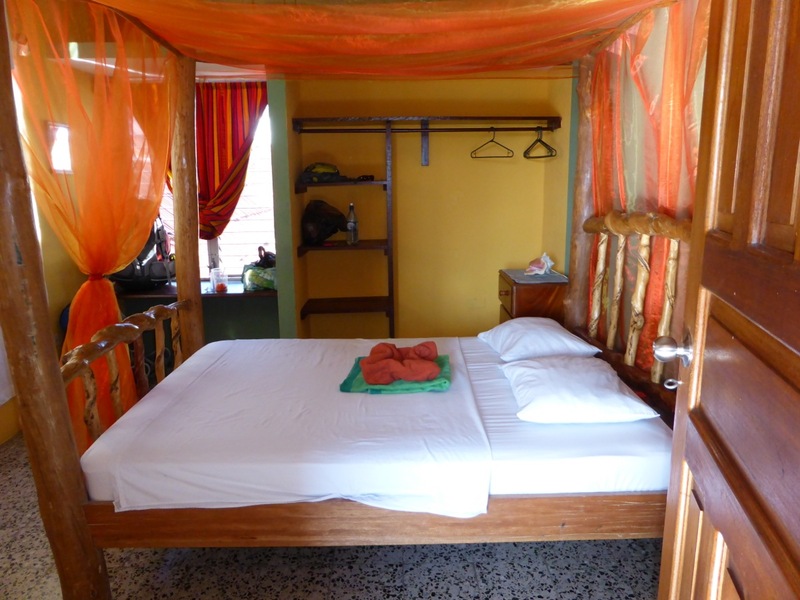 We opted for a private room with shared bathroom for two nights in the quieter building (Los Amigos II) around the corner from the main hostel. The hostel offers many services to travellers including a travel agency, great communal social spaces, storage lockers and a fantastic restaurant. We were delighted to discover many vegan options on the menu at very reasonable prices including a lentil burger, tofu wrap, tofu curry and wonderful salads. 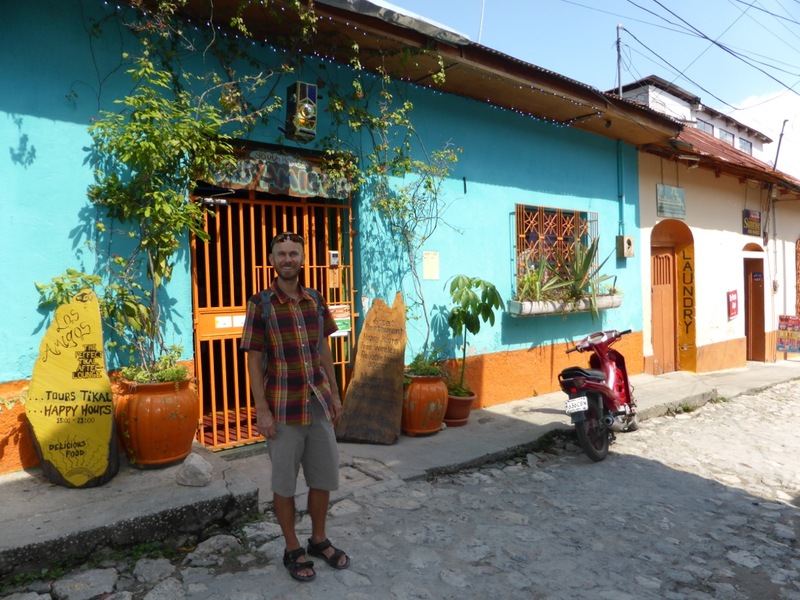 It was also here that we discovered our favourite Guatemalan beer – Moza (as opposed to the very prolific Gallo brand!). 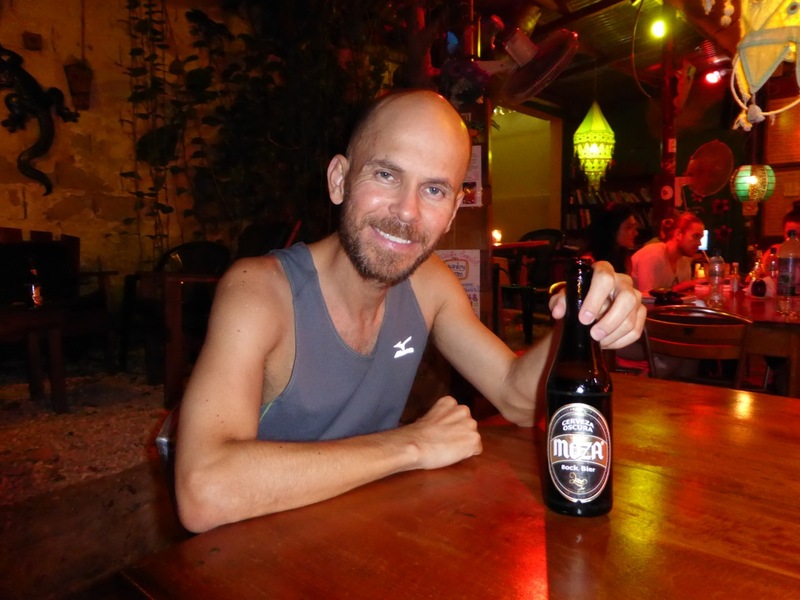 Enjoying the muy delicioso cerveza – Moza! 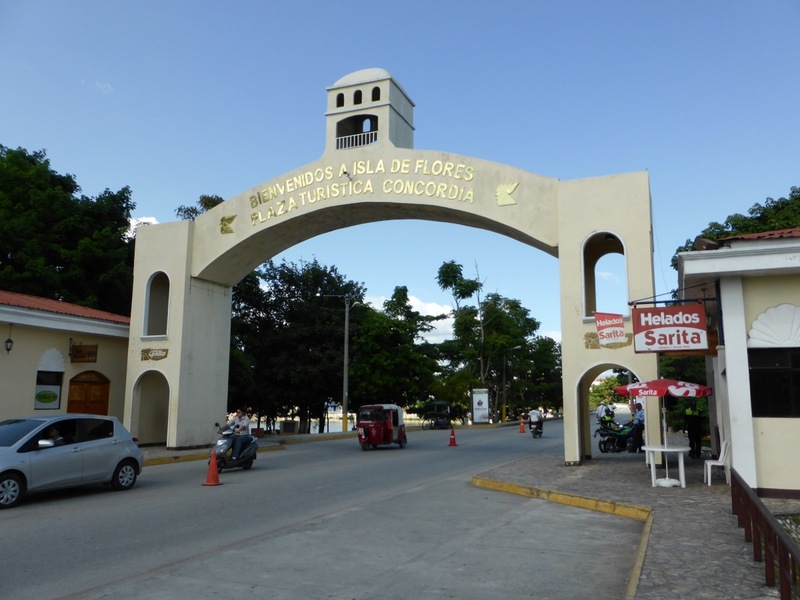 Located on an island within Lake Petzen Itza and connected by bridge to another town called Santa Elena, Flores is a tiny but quaint village with brightly coloured old buildings and cobblestone roads. 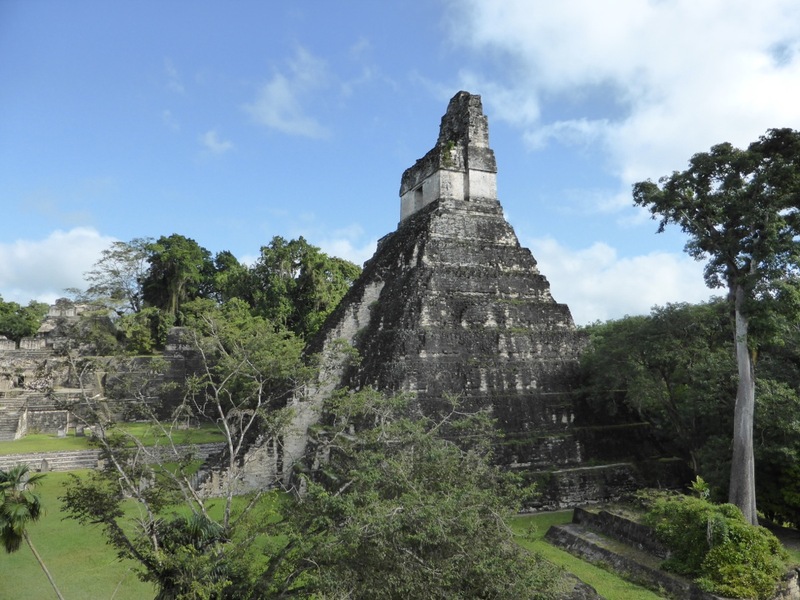 It’s a small part of the world that exists mostly due to the tourist traffic to nearby Tikal – one of the largest and oldest Mayan ruin sites in Central America. 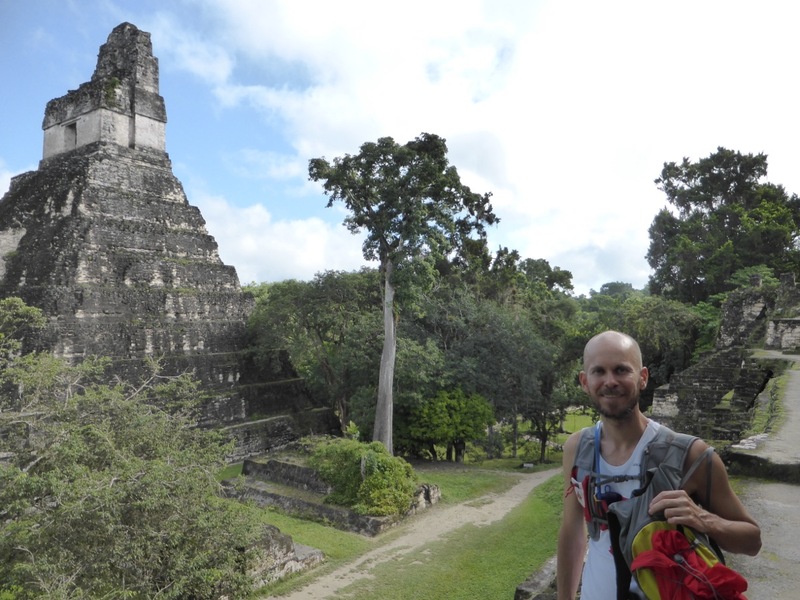 We chose to visit Tikal before sunrise, to experience the jungle in the dark and of course, to see the sunrise and hear the jungle come to life. 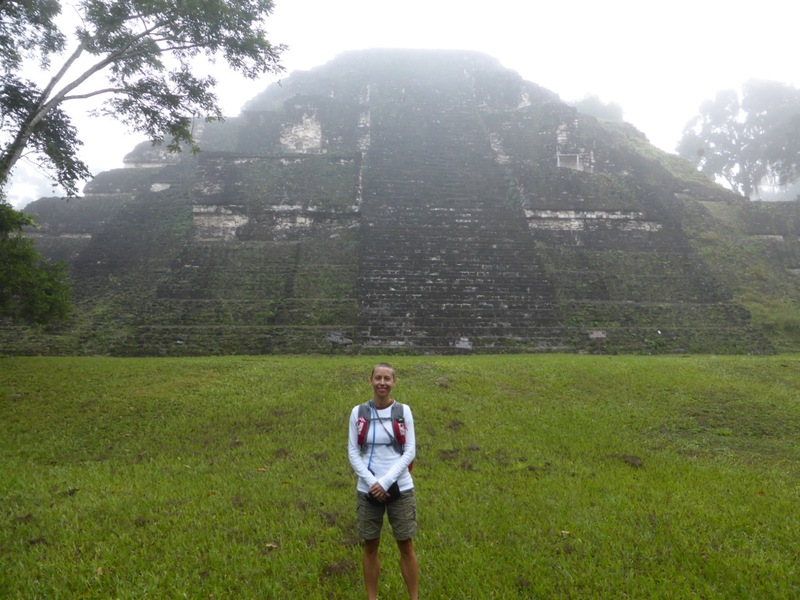 We left Flores at 3am and arrived in Tikal at 4:30am. The ruins are located within a national park and access prior to dawn is limited to small groups. 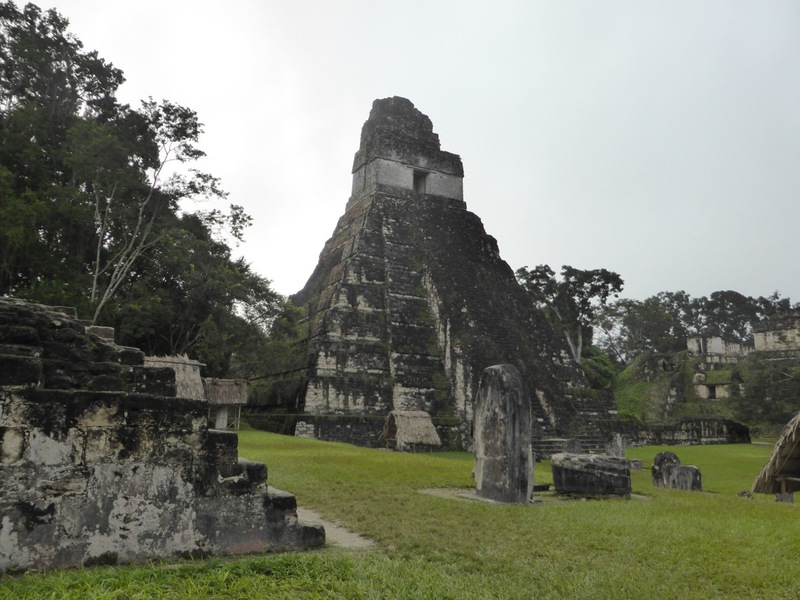 We were accompanied by a guide who led us on a 45-minute walk into the ruins, towards Temple IV – the largest of the structures at Tikal, rising up to 70m. We ascended a staircase alongside the structure, and were allowed to climb only parts of the temple to reach the stepped pinnacle where we would sit and watch the sunrise. Unfortunately the morning was overcast and the jungle was shrouded in mist, so we didn’t see the sunrise. 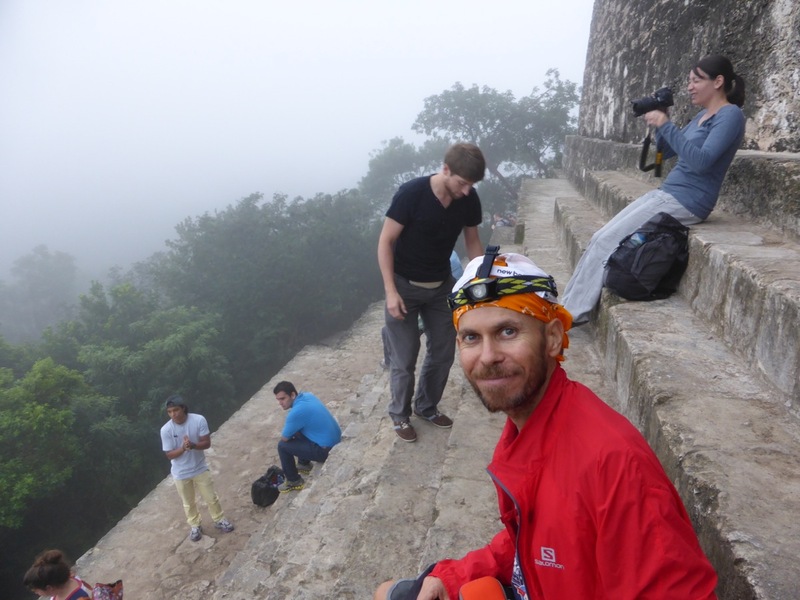 However, we were afforded a very unique opportunity to sit and meditate at the top of a 4th Century BC Mayan temple in the quiet of the morning before the jungle came to life with beautiful bird calls and the chatter of monkeys, including the roar of the howler monkeys. 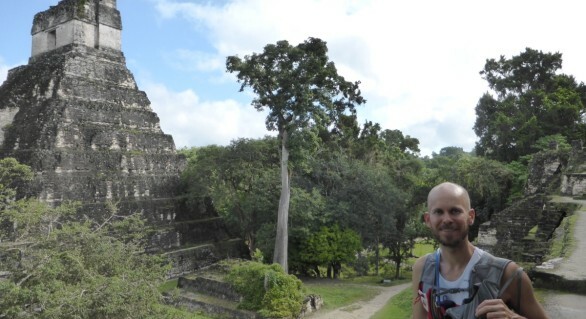 We spent the next 4 hours exploring the expansive site with lunch atop another of the temples. It’s hard to describe the beauty of the setting and the presence of these ancient structures which include pyramids, temples, plazas, living quarters and palaces. Only 20 percent of the ruins have been uncovered by archeologists thus far, and work on the site continues to uncover and restore the structures and their inscriptions. 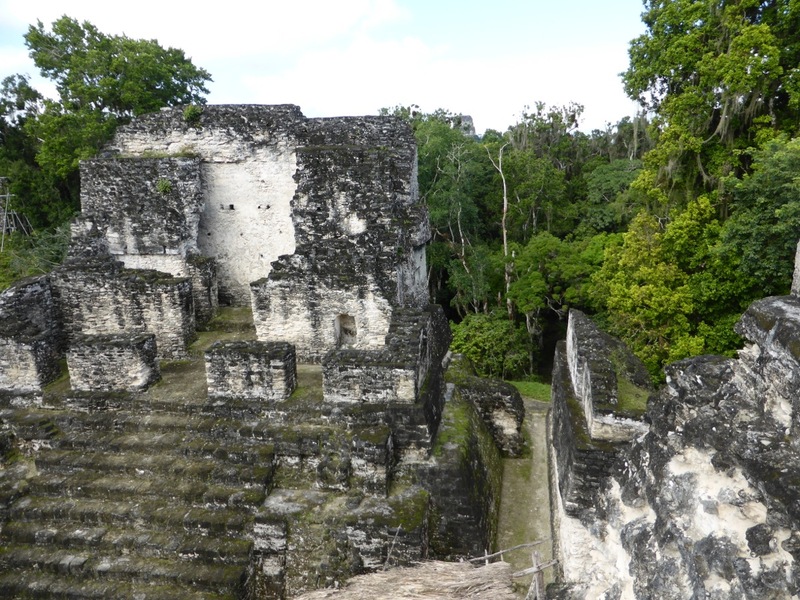 At its peak, Tikal was home to roughly 100,000 Mayans, with a long, colourful, powerful and often ferocious history. 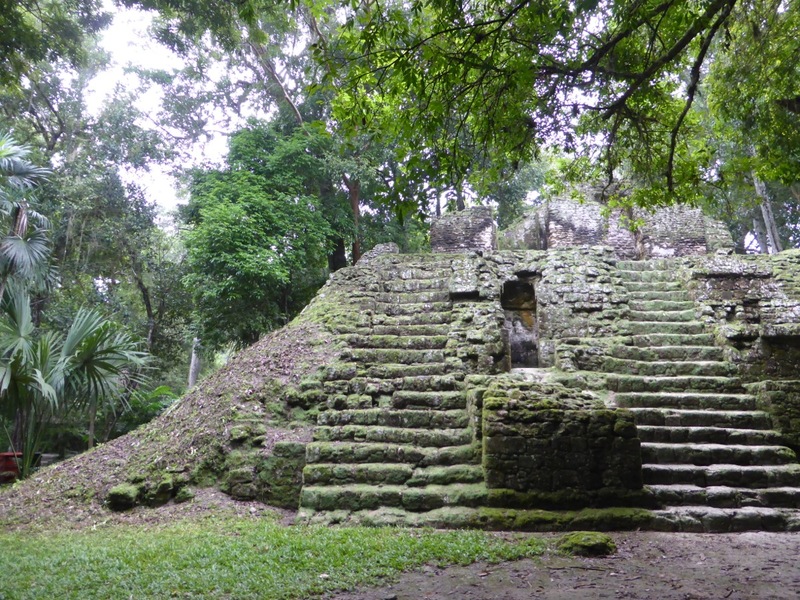 The collapse of the Mayan empire remains a mystery. Our stay in Flores included a very hot run around the village – we had to circle the island and cross the bridge 8 times to make up our 10km distance! We also visited the Cuevas de Ak’tun Kan (also called the Cave of the Serpent) just outside of Flores, that we reached via tuk-tuk – the most common mode of transport in these parts. 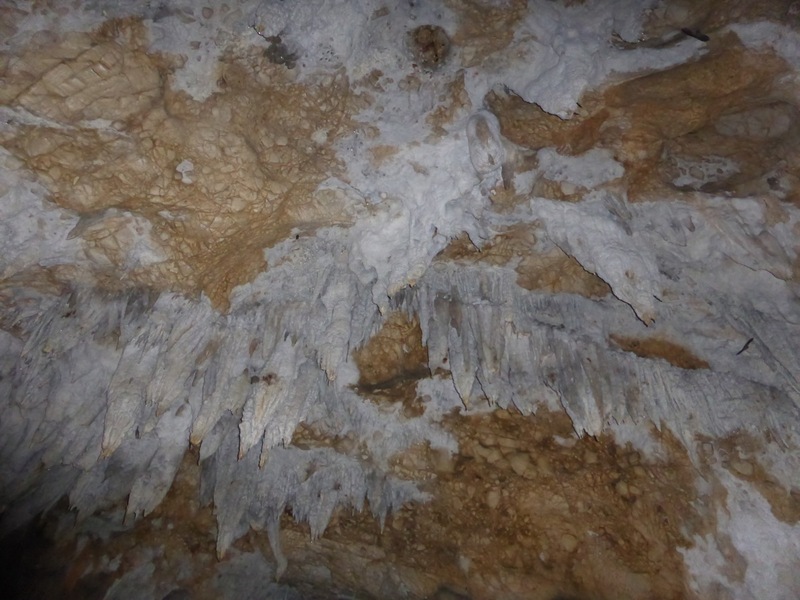 The limestone caves were filled with interesting stalactite formations and of course, the obligatory bats. We were comforted by the investment we made in our rabies shots prior to our departure! Our first taste of Guatemala was extremely positive. 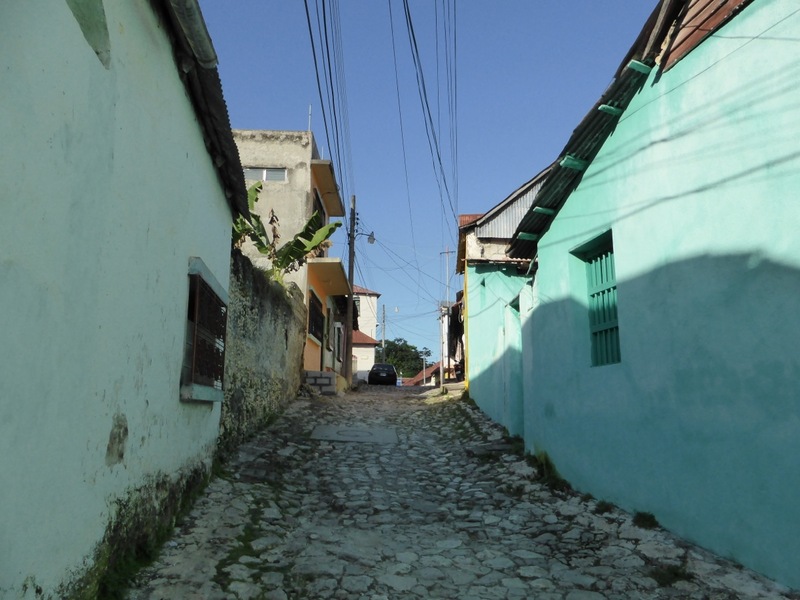 The people are friendly, the scenery is spectacular and there is infrastructure that we didn’t expect – for example, we were quite surprised by how modern the town of Santa Elena is – complete with shopping malls festooned with Christmas trees, santa and decorations! 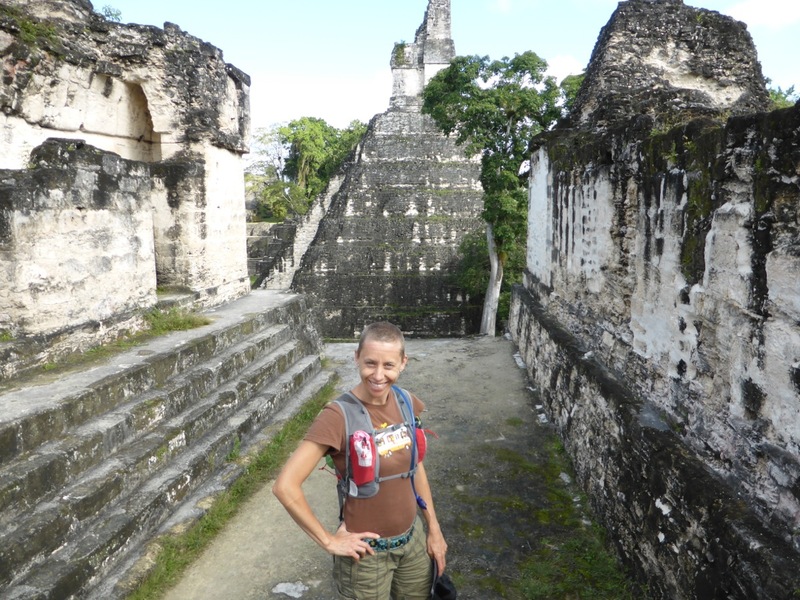 We were also pleasantly surprised by how much cheaper it is to travel in Guatemala, compared to Belize. And of course, we were delighted to discover essentials like soy milk, granola and peanut butter in the supermarkets! However, there has also been one rather uncomfortable (travel) experience in Guatemala so far, which we’ll elaborate on in the next blog entry (don’t worry, nobody got hurt and nothing was lost, except maybe a few nerves). Great artsy shots in and around Flores. The "entry tax" at the border brings back memories of travelling across Africa. We greased a lot of palms! Thanks, Holli - we are taking plenty of shots - some are bound to turn out artsy looking :) We are basically dumping all our shots on our Flickr stream (you can go there from the main page eatrunsee.com - look for the link at the right of the page), and only select a couple for the actual blog posts. Yeah, I'm sure there are a few "entry taxes" to be paid in Africa!